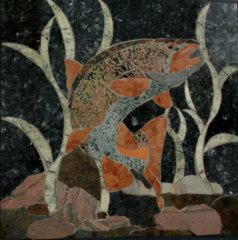 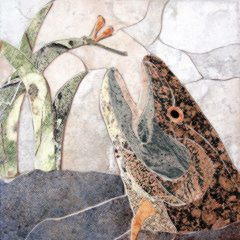 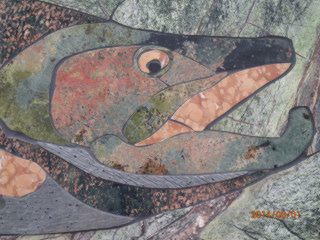 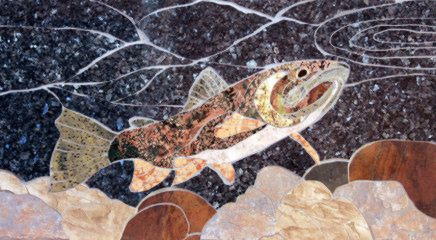 A beautiful mountain trout freed from Verdi Fire granite, clouds envisioned in polished marble, and other natural subjects are the themes of David Cornwell's stone art. 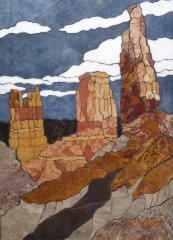 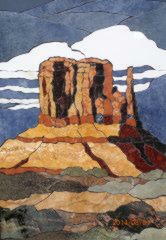 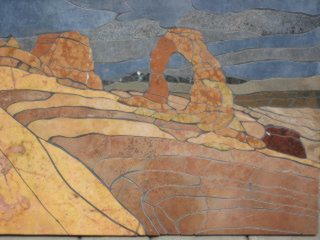 Using his training as a stained glass artist, he has discovered a way to cut and shape the granite, marble, onyx, and stone tiles to create images we see in nature. 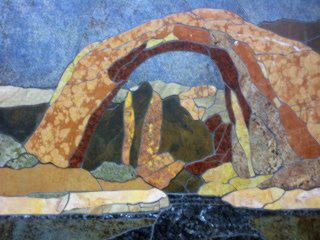 Stones are selected by their unique color, pattern, and texture to produce a palette as distinctive as a painter's colors. 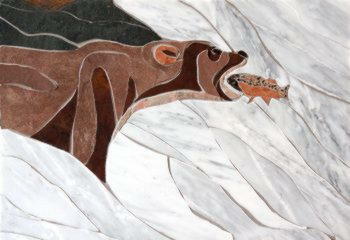 Meticulous cutting and fitting turns the pieces into natural subjects that share the stones' character.